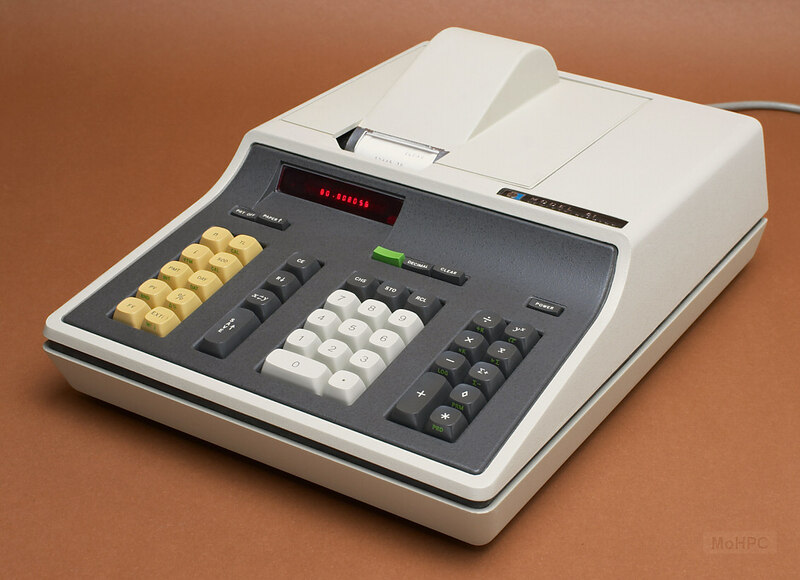 The HP-81 was a top-of-the-line desktop printing calculator which was built like a tank using the same structural foam case as the HP-9805. It used a contactless keyboard with keys that looked and felt like those of a selectric typewriter. 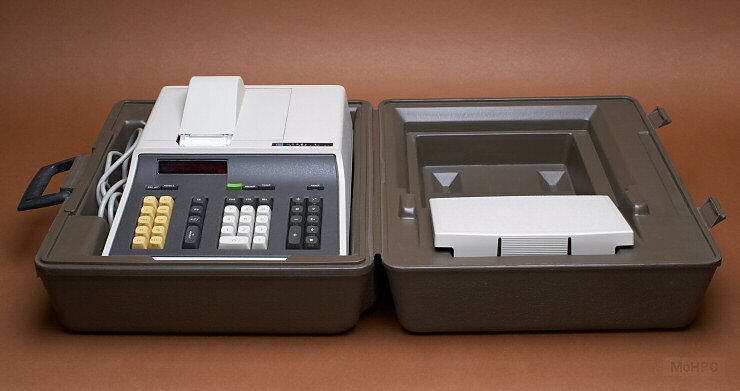 The printer used adding machine paper and printed using a red/black ribbon. Constant arithmetic from register 0 via the *k and /k keys. A PRD key to print the 20 registers. A PRM key to print the calculating mode settings. Optional automatic insertion of the decimal point before the last two digits.